Can a provider provide adequate care if they lack context behind and understanding of patient behaviors or decisions? What encourages or discourages a patient from sharing the details of their circumstances? 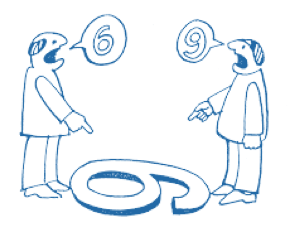 How might the agenda of the provider be perceived differently by the patient when empathy is present or absent? Does expressing empathy really make a difference in clinical outcomes? 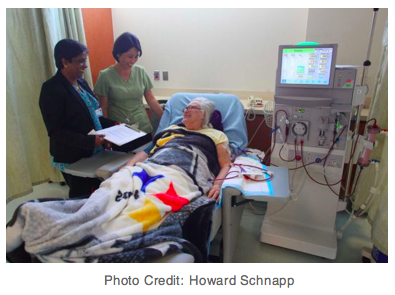 Marilyn Jones is a 66-year-old female who has been on dialysis for six months. She is finally getting used to the demanding schedule of spending most of three full days a week preparing for her treatments, traveling to and from the center, and discomfort of being on the machine for hours at a time. She doesn’t like that it takes her away from her grandkids and the comfort of her own home so regularly, but that is a sacrifice she is willing to make. Marilyn has struggled with her weight and her diabetes for a long time. She’s been trying to keep all these new rules and regulations with her diet straight, but it is complicated and her memory is not what it used to be. She gets mixed up when the dietitian overwhelms her with information on protein, phosphorus and potassium. Is she supposed to take her binders when she eats snacks that are high in potassium or phosphorus? (And, by the way, she is supposed to eat more protein and doesn’t cheese have protein, so it seems like it would okay for her. So confusing!) In addition, she hates the taste of her binders – they make her gag – so she has been avoiding them. On top of her new treatment plan, she’s been having a tough time sticking to her food budget since she started depending on the monthly social security check last year after her husband died. With these new restrictions, it just seems that everything is more expensive. No more canned fruits and veggies, no more potatoes, no more rice pilaf – things that seemed cheap and easy but that she’s been told she can’t have anymore. The dietitian has zoned in lately about her consumption of mac and cheese. Apparently, it’s bad for her for all kinds of reasons, but this is her famous recipe that everyone asks for; it’s her go-to for church functions and birthday parties. Sometimes, the dialysis staff treat her as if she doesn’t care about her health or treatment plan. She does care; she wants to watch her grandchildren grow up, she doesn’t want her health to keep spiraling down, and she’d like to get a kidney transplant eventually. She knows she needs to stay healthy to do all this and feels she has been trying her best to follow these complex dietary rules. Anita Miller has been a dietician for almost 20 years and, boy, has she seen it all! From patients that openly defy her by bringing in exactly what she tells them they can’t eat, to patients that have had heart attacks while on the machine, as well as some patients who follow her advice and live longer lives on dialysis. She gets along well with most of them though, although a few pretend that they are asleep when she walks up. They do like when she brings in dialysis-friendly treats for good lab results. Anita was inspired to become a renal dietician because her own mother was on dialysis, never seemed to be able to follow her treatment plan well, and died too young. She wants to help others avoid this pitfall. She provides lots of good handouts, resources, and tips as she has a lot of years of experience. She used to believe that if a patient had all this information and advice that they would make informed decisions, but lately she’s been getting jaded and wondering what’s wrong with her patients’ motivation. Even when she shows them pictures of what happens to their skin when their phosphorus levels stay up, they don’t change their diet or take their binders regularly enough. Even when she tells them what they must do to get on the transplant list, many patients don’t change their behaviors. Marilyn Jones seems like a nice woman, but doesn’t seem to pay attention to what she’s being told about the importance of sticking to a renal diet. Anita has told her about the dietary restrictions many times, but her phosphorous levels remain high. And several times, she has caught her with leftover macaroni and cheese, for goodness sakes! Anita is beginning to feel like a broken record and is frustrated that her patient is not making the changes she needs to make for her health. Before checking in with Marilyn on Monday during her dialysis treatment, Anita pulls her labs. Although they’ve gone down a bit, phosphorus levels are still too high! She grabs her handouts on foods that are high in phosphorus and heads over. PT: “Oh hi Anita! It was great. Jackson had his 6th birthday yesterday so I made his favorite mac n cheese – it was a real hit!" PT: “Don’t you worry Anita, I cut back on my cheesy eggs this morning so it should even out. All in moderation, right?" Here’s a repeat of the same scenario with the same amount of time, but with the assumption that Anita has been provided comprehensive MI training by her organization. The initial workshop was a true eye-opener! Afterwards, she practiced, attended all her skill-building sessions and has really seen a difference after using this new approach. She enjoys her job again and feels like she is making a difference in many of her patients’ lives. PT: “I guess I haven’t been cutting back enough though – I see you have my lab report there. I bet my phosphorus is still high." PT: "With the phosphorus? [Anita nods.] Well, those handouts are helpful but they just cover what’s bad. Do you have one that gives ideas about healthy foods I can pick up at the grocery store? Ones that aren’t expensive?" PT: "I have to confess, I’m not taking my binders as much as I should. I just hate the taste- they make me gag sometimes." PT: "Oh! I didn’t know that. Yes, I would like to try a different one for sure." PT: "I’m going to get those samples from Judy before I leave today and I’ll try them out. I know that would help a lot if I took my binders more often. And I’m also going to work off the handout to pick foods that are better for me. I’m also going to try to cut back even more on my cheese – no more birthdays coming up for a while which should help!" Without an empathic approach, we are unlikely to discover the patient’s perspective, insights, motivation, and barriers. It is only when we genuinely accept the patient’s readiness to change and embrace their worldview, that the patient will share with us openly and honestly so we can support them and influence their choices. Once we truly connect and collaborate with our patients, we can start to evoke the all-important change talk and be more successful with guiding our patients towards setting and reaching important health goals. In our next blog article, we will provide some concrete tips and suggested practice activities to improve your empathetic listening skills. 1 Miller WR, Rollnick S. Motivational Interviewing: Helping People Change. Third Edition. New York: Guilford Publ. ; 2013. 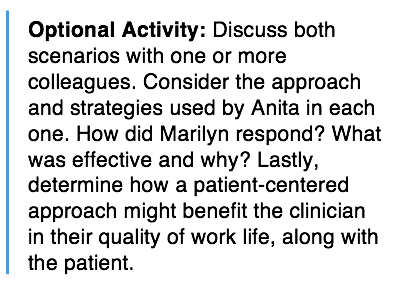 2 Butterworth S, Linden A, McClay W. Health coaching as an intervention in health management programs. Dis Manage Health Outcomes 2007;15(5):299-307. 3 Lake ET, Germack HD, Viscardi MK. Missed nursing care is linked to patient satisfaction: a cross-sectional study of US hospitals. BMJ Quality & Safety 2016;25(7):535-543. 5 Tsai TC, Orav EJ, Jha AK. Patient Satisfaction and Quality of Surgical Care in US Hospitals. Ann Surg 2015;26(1):2-8. 6 Hojat M, Mangione S, Nasca TJ, et al. An empirical study of decline in empathy in medical schools. Med Educ 2004;38:934-941. 7 Bellini LM, Shea JA. Mood change and empathy decline persist during three years of internal medicine training. Acad Med 2005;80:164-167. 8 Moyers TB, Miller WR. Is Low Therapist Empathy Toxic? Psych Addic Behav 2013;27(3):878-884.